Sidcup Paintball and kids paintball at Ruxley Corner. Dartford Paintball. RW Paintball Sidcup are specialists in delivering you an amazing paintballing experience. Based just a few miles from Sidcup, at Ruxley Corner. This site offers easy access from Sidcup, Dartford and Croydon and surrounding towns. It’s also easily accessible from central London by rail or road. At Sidcup paintball we work with the best paintball teams and welcome stag parties, hen parties, birthday parties and any occasion. Individual players are also welcome. 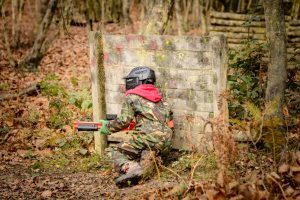 Sidcup Paintball has 7 amazing zones across which you will play a mixture of games including VIP, Stealth paintball, Speedball, Attack & Defend, Double flag and The Flag Carry. We’re open most weekends so get in touch to book your place. We can even open for larger groups and corporate paintball days during the week upon request. 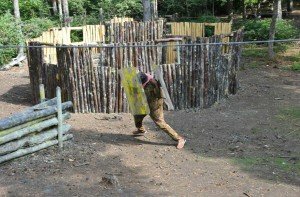 This Sidcup Paintball site accommodates Stag & Hen parties, childrens birthdays from 8 years old, corporate days and bespoke site hire. Click here to book online or call now on the numbers at the top of this page. Kids low impact paintball is now available at our Sidcup site. This is perfect for anyone looking for childrens paintball in the Dartford or Sidcup area. Available only on Sundays, mini paintball is a 2hr session designed specifically for 8-11 year olds. Perfect for kids paintball parties or team events. Sidcup kids paintball is offered at 9am, 11am or 1pm start times. Water is available but you’ll need to bring your own food or order in. You can learn more about kids paintball at Sidcup by clicking here. RW Paintball’s Sidcup Paintball site is Situated just off of the A20 at Ruxley Corner near Sidcup. As you leave the roundabout at Ruxley & enter Sandy Lane, the entrance to our site is about 75 meters on the left hand side. You will see two sets of steel gates, you need the second set. Drive or walk through the gates & travel up the gravel driveway for approx. 120 meters to the car park at the top. From here you will see the entrance to the safezone. Take the train to Sidcup from London Bridge or Charing Cross. You can then take the 491 bus to Ruxley Corner then see instructions above. The train is approx 20-25 mins from London Bridge. The bus is just 10-15 minutes to Ruxley Corner. Please check train and bus timetables for accuracy before setting out. This site is one of our Paintball Kent sites and can also be found on our things to do in Kent page. Map below shows approximate location of our Sidcup site, see directions above for details.